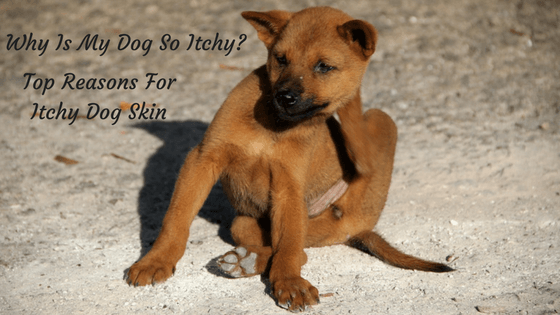 Chances are, if you are reading this, you have been asking yourself the question, “why is my dog so itchy?” And, since last month I posted a DIY dog shampoo for itchy skin, I thought it only appropriate to address the reasons behind this condition. People have itches all the time for no real reason at all, and in that regard dogs are similar. But, you can usually tell when something more is going on than just your everyday average itch. Maybe your dog has really been going at it on a particularly itchy spot all day, maybe he is biting at his paws, or maybe he has irritated his skin to the point of redness and hair loss. Only a veterinarian can tell you the true underlying cause of your dog’s itchy skin. But, knowing some of the most common causes, and signs to look for, can help you know when it may be time to make that appointment. There are a variety of things your dog may be allergic to. Many dogs develop allergies to the ingredients in their food Some of the symptoms that go along with food allergies (but not limited to) are dry itchy skin, biting at the paws, or skin infections. Your veterinarian may suggest that you switch to either a hypoallergenic food or just switch to a food with different ingredients. a change in the protein and grain source may do the trick, or maybe even a grain-free food. We recently had to switch our dog off chicken and onto beef. 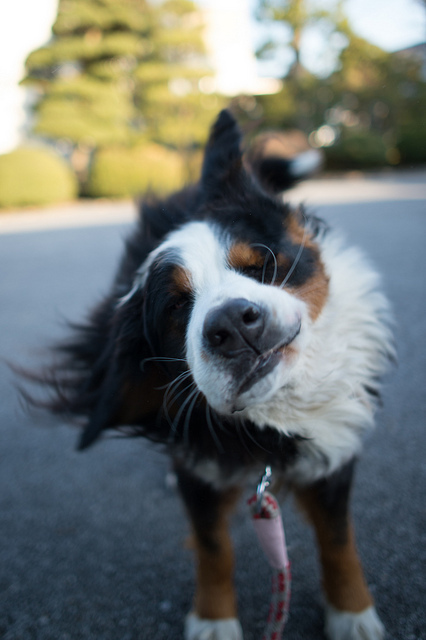 But, allergies may arise from other things too, such as pollens, molds, or dust mites, all which can make for an itchy dog. 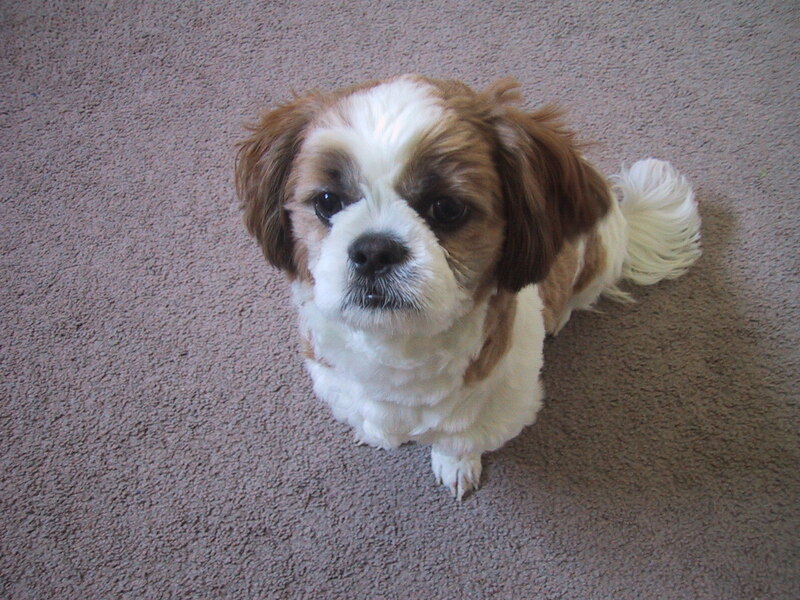 During the time of seasonal allergies, it will help to wash your dog’s paws off each time he comes indoors. This way you can keep his paws free from allergens and prevent spreading it around the house. Daily vacuuming will help as well. In addition, after a romp outdoors a bath may be in order! However, beware of too many baths that can dry out the skin. Be sure to use an all-natural, gentle shampoo specifically for dry skin. Harsh shampoos will only make the condition worse. Every so often, I soak just my dog’s paws in an oatmeal/baking soda solution to soothe them, since they get irritated the most. Dry skin can occur from dry climate, sleeping by a heat vent, swimming in a chlorine pool, allergies, too many baths with harsh shampoos, dryers used at the groomer, poor diet, etc. If you have ever had dry skin you know just how itchy it can make you. Your veterinarian can tell you if your dog’s dry skin is due to a more serious condition. But, if it’s just regular ole’ dry skin from everyday events there are a few things you can do. One trick is to add omega-3 fatty acids to your dog’s diet. Although your dog’s food may list omega-3 fatty acids as an ingredient, by the time the food is processed and packaged the majority of it is no longer active due to the heating process during manufacturing. You can find omega-3 fatty acids in tablet form, or oil to mix in with your dog’s food. You don’t want to over-bathe your dog, because that can dry out the skin, but occasional baths are essential to improving dry, itchy skin. A bath with an oatmeal and baking soda shampoo will soothe the skin and help with the itchiness. This can be followed by a moisturizing rinse to further improve skin condition. It may sound basic, but brushing your dog daily will also help relieve itchy skin. Brushing can remove dander and dead hair, while evenly distributing oils from the skin. It will also get rid of any hair tangles that your dog will be tempted to scratch and nibble at in order to remove on his own. A tablespoon of coconut oil added to your dog’s food daily may also help to condition and improve a dog’s skin and coat. 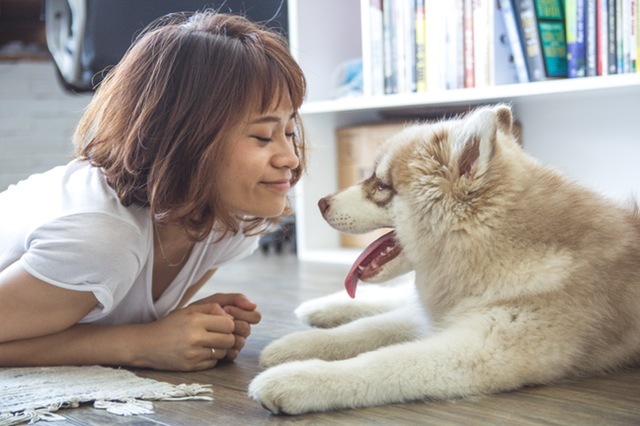 Hot spots are skin infections that can develop within dogs that have some type of allergy, skin irritation, tick bite, or other sensitivity, and worsen when a dog begins licking, scratching, or biting too much at the skin. Hot spots present themselves as a moist sore on a dog’s skin, usually reddened, swollen, raw, and sometimes oozing. They are more common in dog breeds with dense undercoats such as Labrador retrievers, Golden retrievers, German shepherds, and Collies. Hot spots should always be evaluated by a veterinarian so treatment can begin immediately, and prevent the hot spots from getting worse. These can get rapidly worse if not treated, so don’t wait! A veterinarian will most likely prescribe a topical treatment along with an oral treatment if necessary. Since lack of grooming, or matted fur can cause hot spots, you want to be sure to brush your dog daily. Taking care not to disturb the hot spots you will want to keep the hair around them very short in order to allow them to air out and speed the healing process. You will also want to make sure your dog doesn’t continue licking, biting or scratching the hot spots. And, unfortunately, this may include wearing the dreaded cone of shame (aka E-collar)! Since bacteria thrive in moist conditions it will be important to dry your dog off should he get wet from rain, baths or swimming. Fleas and ticks are pests, creating misery for a dog while happily feeding off their blood. Itching, scratching and biting at the skin are one of the first symptoms a dog will display. Fleas are tiny and may be hard to spot while ticks, though much larger, are great at hiding under the fur, or other spots you may not think to look. If your dog swallows an infected flea he can develop a tapeworm, just one of the many unpleasantries of flea infestation. And, as for ticks, they can cause Lyme disease, among other things. So, routine checks by dog owners are important. Some difficult to spot places that ticks like to hide are in the dark, warm crevices on a dog such as between the toes, in and around the ears, under the collar, armpits, and groin. Other than just keeping an eye out for fleas and ticks on your dog you’ll want to be sure to take measures to prevent them. There are plenty of methods such as topical solutions, flea & tick collars, oral treatments, shampoos and sprays. If you are uncertain which one to choose, a veterinarian can help you decide on the best one based on your location and lifestyle. Keep your dog groomed, brush daily, bathe once a month, and supply plenty of drinking water! 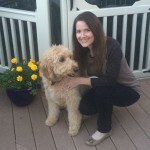 Homemade Dog Shampoo For Itchy Skin Why Do Dogs Drag Their Bottom Along The Floor? Why Does My Dog Lick So Much? Why Does My Dog Keep Shaking His Head? Is There Such Thing As Hypoallergenic Dogs?